2 Bedroom, 1 bath unit. Includes much desired, 2 assigned covered parking stalls! Upgraded with new carpet, paint, xD; xA;granite counter-tops in kitchen, tile in bath and kitchen floor. Move-in condition, overlooking stream. Pet xD; xA;friendly with paths and grassy lawns on-site. Well maintained grounds with pool, patio/deck, BBQ, other amenities. xD; xA;Close to Schofield/Wheeler and Mililani Town.. Very clean. On site security. Close to H-2 freeway entrance/exit. 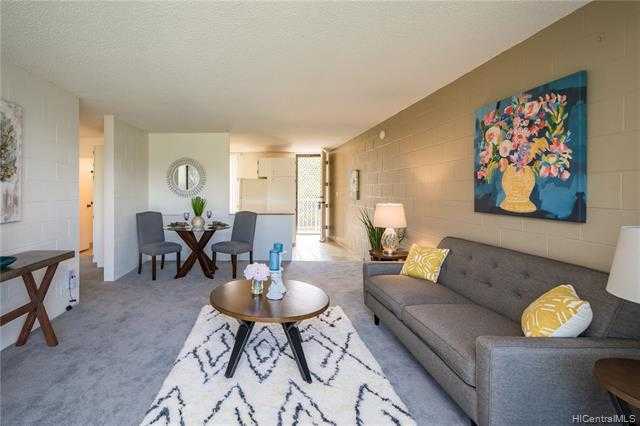 Please, send me more information on this property: MLS# 201908828 – $330,000 – 95-227 Waikalani Drive Unit A903, Mililani, HI 96789.